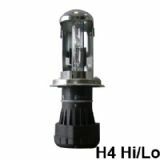 Guangzhou Bek( Berait ) Lighting Technology Co. LTD is a professional manufacturer in auto light and house led light ,such as car xenon HID light ，car led headlight ,car led bulb,off road led light bar, led work light , led bulb, led tube, led panel light , led strip light , led cob light , led flood light , led track light , led corn light , led flash light , indoor and led street light , led solar light ,led display and so on. This company was established in 2006, located in Guangzhou City, Guangdong province. Guangzhou Bek(Berait) Lighting Technology Co. Ltd is one of the biggest manufacturers of auto light in China, Adopting ISO9001:2000 international quality management system , advanced technology and equipments from Germany and Japan ,Our company occupies an area of 2,000 square meters, owns more than 300 employees including 10 R&D employees , With ISO9001:2000 ,CE and E-mark and Rohs certified, high quality, excellent service, competitive prices and prompt delivery, our products sell good in the home and abroad market and enjoy good reputation. Guangzhou Bek( Berait ) Lighting Technology Co. Ltd regards “High-Quality Products, Competitive Price, Excellent after-Sales Service” as our tenet. We hope to cooperate with more customers for mutual development and benefits ,and OEM or ODM cooperation are welcome, please contact us at any time.